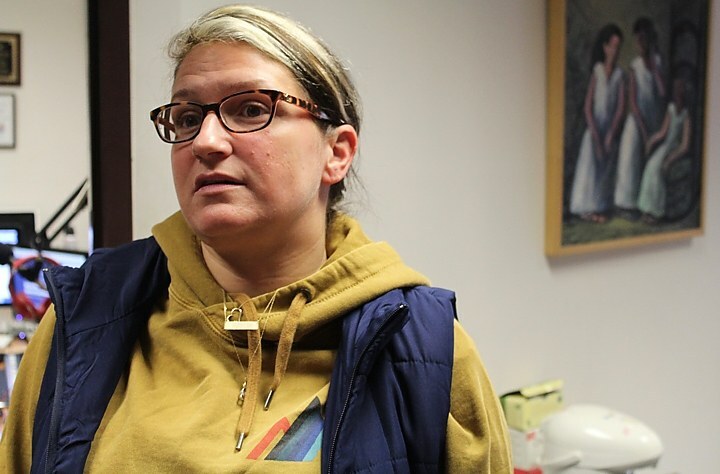 Jackie Lucibello was serving a three-year sentence at the York Correctional Institution when she found out that her mother was dying from complications related to AIDS. A high-strength plastic box was placed over the key hole to her handcuffs to keep her from trying to pick the lock. Chains running from her ankles to her waist to her wrists all intersected in that black box, rendering her practically immobile. At the hospital, she was pushed in a wheelchair through the corridors, was not allowed to see any other visiting family members, and was watched by two guards with the hospital bedroom door open as she spent her final moments with her mother. At a mayoral “debate” Tuesday night where no active mayoral candidates debated each other, two policy proposals did surface: creating a hybrid elected-appointed Board of Police Commissioners and expanding public financing for city elections. 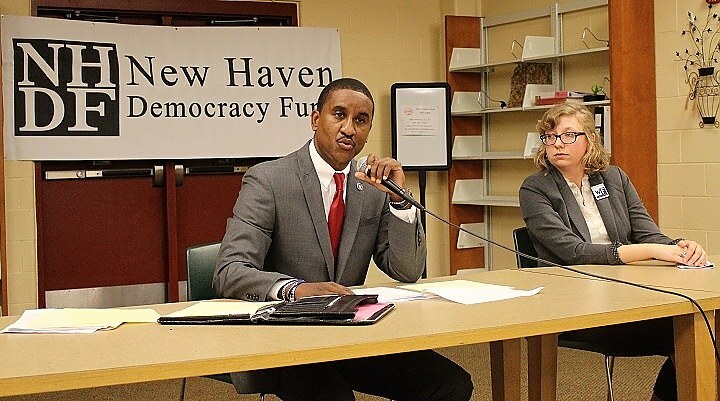 The New Haven Democracy Fund organized a mayoral debate on Tuesday night in the library of the Benjamin Jepson Magnet School on Lexington Avenue in Fair Haven Heights. The Democracy Fund is a city program that provides public matching dollars for New Haven mayoral candidates who abide by certain fundraising restrictions, including limiting individual campaign contributions to no more than $370 each. Underwood presents platform to DTC Thursday night. Friday, June 9, 2017 - Candidates seeking the backing of Connecticut’s most influential local Democratic Party are on notice: They have some policy questions to answer. 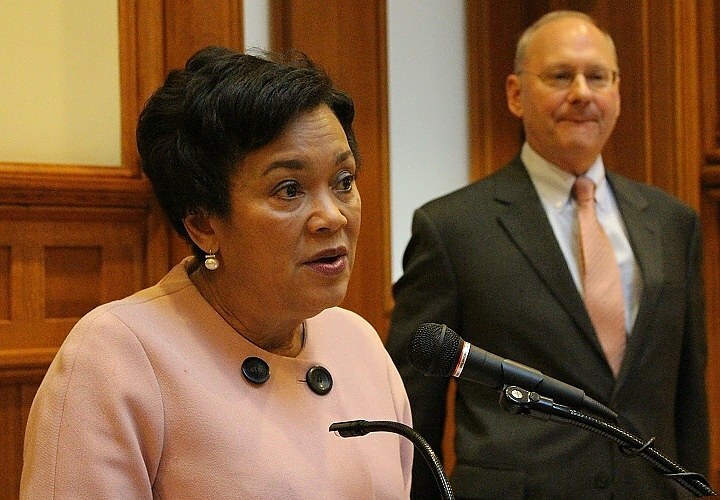 Do they support eliminating school suspensions, expulsions, and arrests for all K – 12 students? How will they work towards ending institutionalized racism in the economy? Do they support drastically cutting the military budget and boosting public investment in airports, roads, bridges, and broadband? The New Haven Democratic Town Committee (DTC) now has an official platform that embraces those positions, providing politicians at all levels of government with a template for the progressive causes that local Democrats support and seek to accomplish. Johnson, Walter, and DuBois-Walton at a panel on race and education on Tuesday night. Wednesday, May 31, 2017 - How does racial disparity make itself felt in in the New Haven public school system today? And what is the best way to address that disparity so that all New Haven students are sufficiently prepared, supported, and empowered to become productive, self-sustaining citizens by the time they graduate high school? Three local educational and policy experts offered three different takes on these questions during an hour-and-a-half panel discussion held on Tuesday night at the New Haven offices of Educators For Excellence at 153 East St.
Friday, May 19, 2017 - Olive Street will be the beneficiary of a new mobile, radar speed sign next year as the result of an annual exercise in “participatory budgeting”: a democratic decision-making process that empowers a neighborhood to decide how to spend a small share of the city budget. During its monthly meeting at City Hall this week, the Downtown-Wooster Square Community Management Team (DWSCT) voted to dedicate $5,000 of its annual $10,000 in “Neighborhood Public Improvement Program (NPIP)” allotment towards traffic calming on Olive Street. For the past three years, the Livable City Initiative (LCI), the city’s anti-blight agency, has distributed $10,000 in NPIP money to each community management team in New Haven to spend as it chooses. The program allows community members themselves to debate and decide on which quality-of-life issues they would like to address in any given year. Wednesday, May 17, 2017 - Two hearings scheduled for a plan to dramatically change how New Haven makes major zoning decisions have been postponed, and the proposal ran into some initial public criticism Tuesday night. 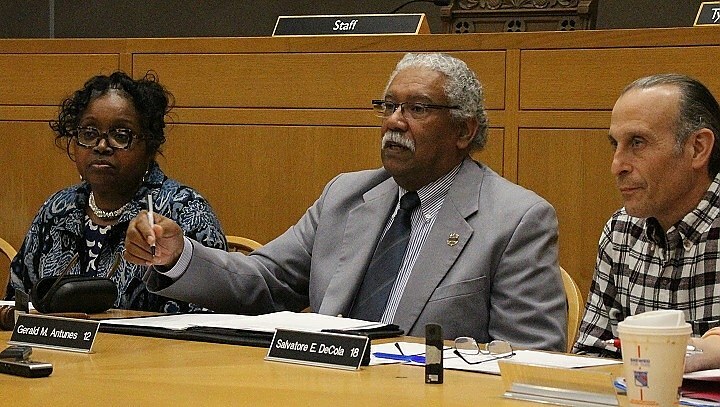 The Legislation Committee’s proposed amendment to the zoning ordinance governing “Community Impacts” came under sharp criticism from members of the Downtown-Wooster Square Community Management Team (DWSMT) on Tuesday night during their monthly meeting at City Hall. Brown explains Albany’s LEAD program during Hill North CMT meeting. The police get a call from Walmart that somebody has been caught shoplifting. The officers run the offender’s criminal history, and quickly find out that he has a 40-page rap sheet. Not 40 arrests; 40 pages. Will one more arrest put this guy on the straight and narrow? Or is there another route, away from prison and toward social services, that would better change behavior, reduce recidivism, protect the community, and save the taxpayers money? This was the central question under discussion Tuesday night during the Hill North Community Management Team’s monthly meeting at Career High School. Desmond, Gage, and Salgado onstage at CCA forum at Career. Wednesday, April 26, 2017 - After spending years interviewing tenants and landlords and reporting on urban evictions, Matthew Desmond reached a conclusion that surprised him: Conventional liberal and conservative explanations that heap blame on everything from deindustrialization to out-of-wedlock childbirth overlook the actual root causes of poverty in this country. Poverty comes not from an absence of resources, Desmond discovered, but from a national unwillingness to confront a profound moral problem. With empathy and effort and understanding, the communal choices that lead to unstable housing for this country’s neediest can be collectively rethought and made anew. That rethinking about poverty and housing and that moral challenge took center stage Tuesday night in the auditorium of Hill Regional Career High School. Monday, April 10, 2017 - The city department that handles 911 calls is looking to upgrade a critical component of its communications technology to ensure that notifications sent to the fire department are appearing in a timely and accurate manner. The technology it uses right now, which was first installed over two decades ago, is faulty and unreliable, and may exacerbate delays in dispatching emergency responders. So testified Director of Public Safety Communications (PSAP, or “public safety answering point”) Michael Briscoe at a a Board of Alders Finance Committee hearing held at City Hall last Thursday night on the Harp Administration’s proposed $554.5 million operating budget. Monday, April 3, 2017 - New Haven’s top economic development official has promised to help a Grand Avenue homeless shelter find a new home now that the zoning board has denied its request for permission to move to an empty building on an industrial strip around the corner. During the March meeting of the Board of Zoning Appeals (BZA), the board denied without prejudice the request from Emergency Shelter Management Services (ESMS) to receive a use variance to operate an emergency shelter in a light industrial zone. ESMS currently runs the homeless shelter out of a building at 645 Grand Ave. The shelter is 6,400 square feet and serves 50-75 men per night, depending on the season. Would 5 Miles Per Hour Make A Difference? Antunes, at center, with Alders Delphine Clyburn and Sal DeCola. Wednesday, March 22, 2017 - Two Alden Avenue neighbors offered different takes on how to slow down cars on their street — while lawmakers tried to figure out how much control they have over how fast people can legally drive in town. The two-hour trip down Transportation Policy Road took place Tuesday night at a hearing at City Hall of the Board of Alders’ Public Safety and City Services & Environmental Policy committees. The hearing concerned a proposed bill by Beaver Hills Alder Richard Furlow to explore the best ways to calm traffic and possibly lower the speed limit on city (as opposed to state) roads from 25 to 20 miles per hour. Rose (center), his executive assistant, Counsel Pernal Paula Marie (right), Deputy Corporation Counsel Phoenix Cherie (left) at hearing. March 17, 2017 - A hearing about the city’s top lawyer’s budget turned into an examination of why his office is taking over the labor relations department, when he plans to fill a top vacancy there, and whether he’s assuring that city officials are up to date on how to properly handle and dispose of official public records in the wake of a still ongoing controversy over a high-profile firing. Corporation Counsel John Rose Jr. fielded those questions when he presented his proposed new budget at a three-hour-plus budget hearing held at City Hall Thursday night by by the Board of Alders Finance Committee. Few of the questions had to do with the relevant numbers in the mayor’s proposed budget, however, which asks for Corporation Counsel to incorporate the three-person staff and $425,000 budget of labor relations into its purview. Marchand reviews example of mixed-use development before vote. March 13, 2017 - Karyn Gilvarg and Tom Talbot of New Haven’s City Plan Department have been working on amendments to the city’s zoning ordinance that make it friendlier to mixed-use development: the idea that stores and apartments and offices can be mixed all together in dense city blocks rather than separated in specified districts. The Board of Alders Legislation Committee has unanimously approved their proposed text edits, allowing the changes to be voted on at the next full Board of Alders meeting. March 10, 2017 - The city came one step closer to realizing a new regulatory framework for monitoring New Haven’s food trucks, carts, and stands thanks to a vote following a three-hour public session at City Hall. Before the vote Thursday night, some vendors told lawmakers they remain concerned about the unintended consequences that these regulations might have on the traffic safety of both their employees and their customers. “How critical is that difference?” the city’s landscape architect asked, flipping through his notes on the ideal design of an urban skate park. “Very!” Nearly everyone in the room shouted at once, voicing their unanimous support for concrete.